Updated | Ponce de León squandered his career as a conquistador searching for the fountain of youth. He would have been more productive showing the effects of age. At least that’s what Bran Ferren says. The 62-year-old Ferren has invented an “aging suit” that simulates the effects of growing older. 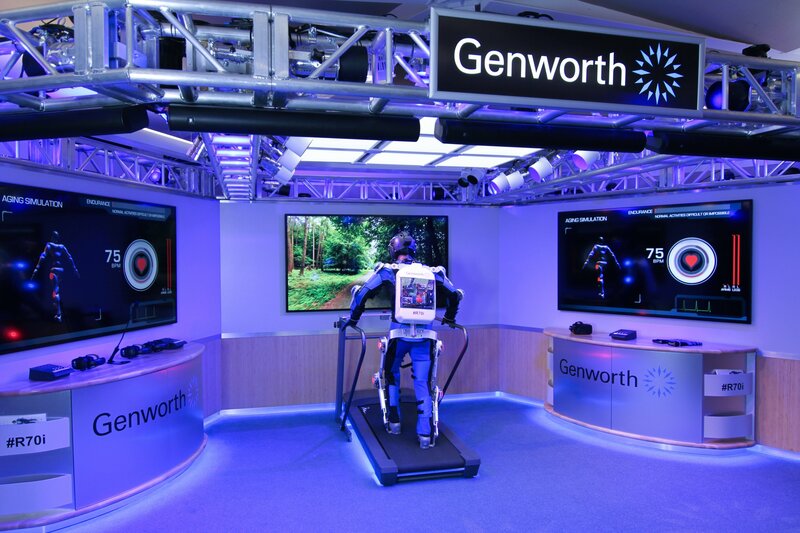 Called the Genworth R70i Aging Experience, the outfit was unveiled by Ferren, the Genworth insurance company and actress Angela Bassett on June 29 in Colorado at the Aspen Ideas Festival. The idea behind this invention is that it will help jump-start a conversation about aging and senior care among young people. Ferren is the former president of research and development at Disney Imagineering, the design team responsible for “creating the magic” at the studio and its theme parks. He’s the child of two visionary artists—one of whom created the nightmare sequence in Alfred Hitchcock’s Vertigo. Ferren dropped out of high school at 16 to attend MIT. By 25, he had launched a special-effects company for the film industry. In 1980, he thought up the trippy finale of the film Altered States, in which William Hurt morphs into an electrostatic diagram of human musculature (the sequence inspired the infamous music video for A-ha’s “Take On Me”—but that’s not Ferren’s fault). In 1987, he won the best visual effects Oscar for Little Shop of Horrors. The New York Times once called him a “technological whiz kid.” Today, he looks more like a white-bearded wizard. The aging suit is his latest invention. Slip into a Captain America–like getup and morph into Grandpa—sort of. The suit has metal hinges and bolts at every joint, to simulate stiffness and loss of mobility. The helmet simulates impaired vision, hearing loss and cognitive deterioration. Custom software and on-suit cameras enable the “aging” in real time. Arthritis is replicated by limiting the wearer’s arm movements. High-pitched, loud ringing noises in the helmet wearer’s ears make speech and hearing difficult. While in Aspen, I try on the outfit. My body encased in a tracksuit-looking undersuit (my, how the elderly love their tracksuits!) and my hair bundled in a black bathing cap, I stand perfectly still as two Applied Minds (Ferren’s company) wranglers buckle a Captain Kirk–worthy watch on my wrist to monitor my heart rate. The wranglers strap me into restrictive electronic armatures that light up blue or red, depending on the simulation. Instantly, I feel heavier. “You get fat when you’re older,” says Ferren, adding, “I didn’t gain this weight as research for the project.” After he adjusts the eye visor on the helmet, I stroll through a simulated forest, into the claustrophobia of tunnel vision and the cloudiness of cataracts. Ferren fidgets with the soundboard dials that control my headphones and instructs me to recite “Mary Had a Little Lamb.” Static distracts me. Slowly, deliberately, I slog through the entire verse. Only later do I learn that everywhere I went, my speech was sure to slur. Amid the mirthful laughter of bystanders, I hop on a treadmill and try to walk, while Ferren switches my joint gears into arthritis mode. Suddenly, like cardiac arrest, the simulation stops. This isn’t part of the demonstration: The suit’s batteries have run down. For a few moments my mind fills with dread. What if Ferren can’t find new batteries and I’m stuck in his contraption for eternity? What if I have to be buried in this ridiculously unfashionable ensemble? But then, happily, the wranglers unstrap me. But the suit isn’t just for geezers like Ferren. It’s for younger folk too. In the middle of Ferren’s dining room table is a huge natural quartz crystal ball. He’s quite proud of it. Typical fluorite crystals like this date from the Jurassic period, about 150 million to 200 million years ago, and take up to 10 million years to grow. The company’s best-known invention is probably Metaweb, the online system that completes sentences in Google searches. And while Applied Minds is involved in projects for commercial and government clients that cannot be mentioned, Ferren shows me a few that can: virtual reality domes, a clock that will run for 10,000 years and a digital gallery for the Smithsonian Renwick Museum. Ferren has also recently made headlines for the KiraVan, a six-wheel, all-terrain vehicle that he conceived to shepherd his 6-year-old daughter around the world. Ferren has seen the deleterious effects of aging firsthand. Both his mother and mother-in-law require 24-hour care. He says providing for elderly relatives has given him a personal stake in the project. After the public relations agency, PMK•BNC, introduced insurance company Genworth Financial to Applied Minds last year, Genworth enlisted Applied Minds for the project to emphasize storytelling rather than medical science. Ferren says Genworth is keenly aware of society’s reluctance to discuss senior care. “People would rather discuss death than aging,” says Janice Luvera, a Genworth executive. More than 70 percent of the U.S. population will require some form of long-term care once they reach the age of 65. 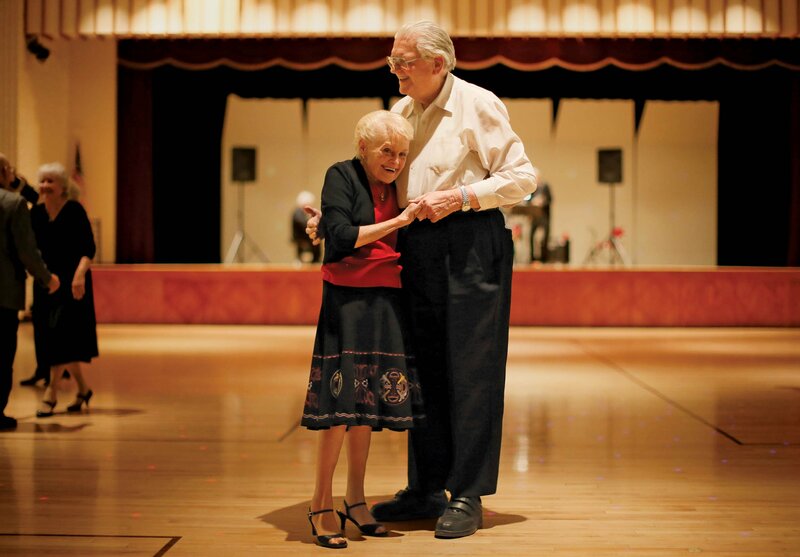 By 2050, the number of people over 85 is expected to double. Or maybe it’s not. “There’s a certain inevitability that comes with aging,” Ferren says sarcastically. “Odds are, you’re going to die. You can sort of hedge your bets one way or the other. But once you’re born, it’s only a matter of when.” If you don’t buy into that, he says, suit yourself. Correction: This article originally incorrectly stated that the cloudy vision in the aging suit was meant to simulate glaucoma and that Ferren's crystal ball was grown in a laboratory. The cloudy vision simulates cataracts. And while other crystals on Ferren's dining room table were grown in a laboratory, the crystal ball is natural.